Join SIOP now and access the webcasts and presentations from our annual meetings among other exciting educational tools and membership benefits. I’m proud to be a member of SIOP. 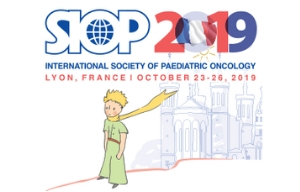 The continuous process of the various SIOP committees to make care as equitable as possible through high and low income countries gives a beacon of hope to the doctors, nurses and allied professionals involved in this process. Join our SIOP Community Today! Do you want to support a colleague from a LIC/LMIC ? Health and science professionals at the doctorate level (or equivalent degree) who have an exclusive or predominant interest in the clinical, laboratory, epidemiologic, or other research application to the field of childhood cancer, from countries specified by the World Bank as low income, lower-middle income and upper-middle income countries. Individuals who are five or fewer years after the completion of their basic medical degree or five or fewer years after the completion of further qualifications. Applicants who have had a career break or career change and do not satisfy the above requirements for timing will be considered individually.Member in Training status is applicable for a maximum of three years. After three years and/or completion of training, Members in Training will automatically qualify as Ordinary Members. New Members under 40 will receive a 2 year membership for € 80. This membership category is not renewable. This membership is targeted at Young Investigators who have an exclusive or predominant interest in the clinical, laboratory, epidemiologic, or other research application to the field of childhood cancer. 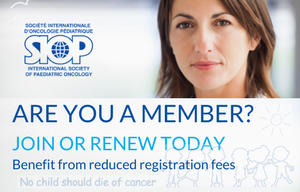 Please contact us at info@siop-online.org for further information about our organisational membership options. Please contact us at info@siop-online.org for further information about our corporate/industry membership options. Am I eligible for a reduced rate? Questions? Kindly contact our membership team by using the form below.